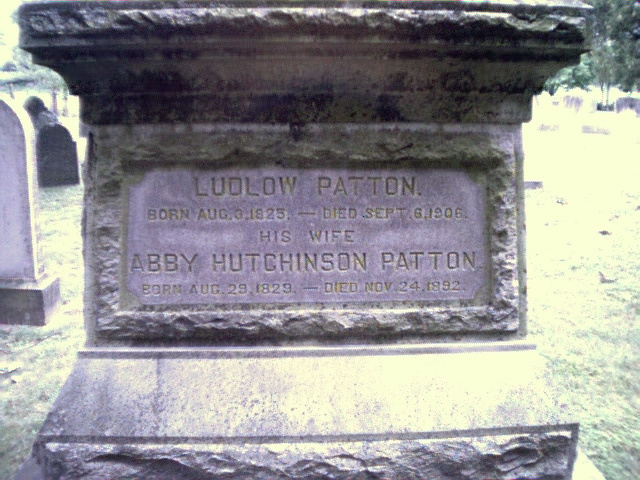 Abby Hutchinson Patton was born upon the old Hutchinson homestead Aug. 29, 1829, and died in New York City Nov. 24, 1892. This sketch is substantially a reproduction of an article appearing in the Home Journal soon after her decease, from the pen of Frank D. Carpenter. Of sixteen children of Jesse and Mary Leavitt Hutchinson, thirteen grew to manhood and womanhood. One of the verses of their song, composed by Jesse Hutchinson, Jr., one of the sixteen, "The Old Granite State," embraced the names of the thirteen children, all living when the song was composed. The whole family were singers, but the quartette which became so famous was composed of Judson, John, Asa, and Abby. Mr. Morris of the Home Journal was the author of the phrase which accompanied the singers ever after, "A nest of brothers with a sister in it." Abby Hutchinson came from a long line of musical ancestors. Her maternal great-grandparents, William Hastings and his wife, were noted singers of their time. One of the Hastings daughters married into the Leavitt family, also famous for musical genius. Thus of the union of the musical talents of the Hastings and the Leavitts, came the musical mother of the Hutchinson. family. Abby was a born musician. As soon as she could talk she began to sing. The first songs she learned were the hymns taught her by her mother while singing at her spinning wheel. At the early age of four years she displayed such musical talent that people would come from afar to hear her childish songs. A little later she went to the district school with her sister and young brothers. Her studies were pursued with avidity, and she readily memorized pieces to speak or sing. As the father had a large farm there was much out-door work to do, and while the brothers worked they sang. Rhoda and Abby would also sing with the mother, over their work, and when the father and the boys would come in to their meals, all voices would join in a song that would make the house ring. The evenings were usually spent in musical practice. Abby had an alto voice and could make her own part, no matter how intricate the melody might be. To test her abilities her brother, Judson, would sing the scales, and difficult improvised melodies, bringing in chromatic runs and changes. Abby would never falter, but would match him every time with her harmounious notes. Musical by inheritance, her childhood surroundings were all of music, melody, and harmony. In 1839, when only ten years old, Abby made her first public appearance as a singer. This was at a concert given in the Baptist church of Milford. On this occasion the parents and their thirteen children [p. 485] all took part, Abby singing with her sister Rhoda the evening song to the Virgin, "Ave Sanctissima." In 1841 Judson, John, and Asa commenced their public concert career, with their sister Abby as their chief attraction. For two years they made New England their chosen field, and went from town to town, and from city to city, with varying success. Their habit for several years was to sing in the autumn and winter. Spring and summer were devoted by the brothers to the management of their farms, and by Abby to her studies at the academy in Hancock and at the Edes Female Seminary, Plymouth, Mass. Early in May, 1843, the Hutchinson family made their first visit to New York. They took the public by storm. One enthusiastic editor, who was a great lover of music, wrote of them: "The harmony of this band was never surpassed by mortal throats. It moved to tears, it reached into the solemn depths of the sould,--it was God-given and Heaven-inspired." The press published extended accounts of their concerts, which were given in the old Broadway Tabernacle. 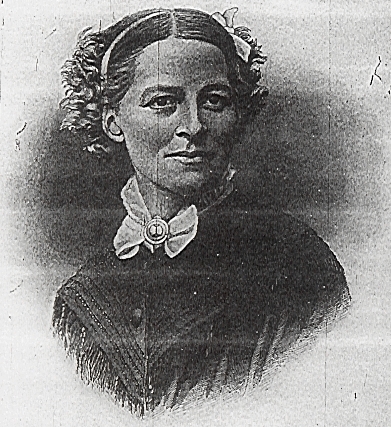 The Hutchinsons were abolitionists from principle, and in singing anti-slavery songs they would sometimes be hissed and threatened with personal injury; but the presence of Abby held the pro-slavery audiences of those days in subjection. There was a charm about her that was irresistible. The anti-slavery conventions were often disturbed by mobs, but when the Hutchinsons began to sing, the uproar was hushed, as by magic Abby's voice would ring out with "The Slave's Appeal," and in the hush that followed Garrison and Phillips would get a hearing. The songs she loved best were those which inspired the hearts of the great anti-slavery leaders and other reformers with courage and hope. "Abby, the sister, is sixteen years old, with a bright, intelligent face, speaking dark eyes, and exquisite complexion. Had Wordsworth known her, he would have immoralized her. She is totally unspoiled by the admiration and applause which her singing everywhere calls forth. Her grace of manner is natural; she is perfectly unconscious and unstudied. Her moral qualities are equally beautiful and winning. No one can converse with her without feeling himself to be in the presence of an artless, pure, and simple nature, which no applause, or success, can divest of its original freshness." Throughout Scotland and Ireland the family had uninterrupted success. The inexpressible sweetness of Abby's voice seemed, as one Dublin editor expressed it, "like the subdued and distant voice of an angel from the upper deep." On Feb. 28, 1849, Abby hutchinson was married to Mr. Ludlow Patton of New York, a member of the New York Stock Exchange, and a son of the late Rev. Dr. William Patton of New York. And tell them to be true." Her next song was Mrs. Gildersleeve Longstreet's "Mrs. Lofty and I." In rendering this music, composed by her brother Judson, her sympathetic voice seemed to reach the very soul of her listeners. The song still lingers in our ears. At the outbreak of the War of the Rebellion, in 1861, Mrs. Patton again appeared in public, believing it to be her duty to do what she could to rouse the people of the North and bring about the abolition of human slavery. She sang for a year, with her brothers, the songs of freedom and patriotism. In April, 1873, Mr. Patton retired from business. For the next ten years Mr. and Mrs. Patton traveled for pleasure through Europe, Asia, Africa, and all portions of their own country. On their return from their Egyptian and Palestine trip, Mr. and Mrs. Patton renewed their travels through Europe, visiting every country therein, except Portugal and Lapland. In the summer of 1879 Mr. and Mrs. Patton visited Sitka, Alaska, and then made the tour of Washington, Oregon, and California, visiting all points of interest. They were so much pleased with San Diego, Cal., then a small town of about two thousand people, that they afterward spent three different winters there, and watched with interest the growth of the city to its present size and importance. Among Mrs. Patton's musical compositions the best known are "Kind Words Can Never Die," and Tennyson's "Ring Out Wild Bells" In 1891 she published a little volume, entitled "A Handful of Pebbles," consisting of her poems interspersed with paragraphs and proverbs, containing the essence of her happy philosophy. Many of these "Pebbles," both in prose and verse, are gems of wise and happy expression. Mrs. Patton was closely identified with nearly every reformatory enterprise for benefiting the human race. She was interested in the education of women, and was an earnest believer in woman suffrage, which movement she aided by tongue and pen. Her hand was ever ready to help the needy, and her words to give courage to the weary and hopeless. Religious creeds had no interest for her. She fellowshipped all good people, whether Protestants, Catholics, or Agnostics. The last occasion upon which Mrs. Patton appeared in public, except at the funeral of Whittier, was purely accidental, and occurred August 3, 1892. Senator William E. Chandler had presented a statue of John P. Hale to the state of New Hampshire, and under the direction of Governor Hiram A. Tuttle and his councilors, fitting services of dedication were being held. Councilor George A. Ramsdell was [p. 487] presiding; Colonel Daniel Hall, the principal orator of the day, was delivering a masterly address upon the life and character of Senator Hale. In the midst of his oration, having spoken someting more than an hour, he fell in a fainting fit, and remained insensible for more than half an hour. There was an audience of but little less than ten thousand gathered about the stand in the state-house yard and adjoining streets. The venerable ex-speaker, Galusha A. Grow, was upon the platform expecting to follow Colonel Hall, but did not feel inclined to speak until the orator's condition was better understood. Fred. Douglass, John W. Hutchinson, and Mrs. Patton were also on the platform, and the trio kindly yielded to the request of the presiding officer to sing some of the old-time slavery songs. It was a beautiful sight: Mrs. Patton, standing with her brother, John W., on one side, and Fred. Douglass on the other, held the audience spellbound for half an hour, after which the regular order of exercises was resumed.